Hot Wheels(R) Teams with Dad's Root Beer and Dreyer & Reinbold Racing to Unveil Custom IndyCar for Father's Day Race Weekend | Mattel Inc.
INDIANAPOLIS, May 26, 2010 (BUSINESS WIRE) -- Hot Wheels(R) was joined today by Dreyer & Reinbold Racing, Dad's Root Beer along with team driver Mike Conway to reveal a custom-designed #24 Dad's Root Beer IRL racecar. The racecar, unveiled for the first time, will be on display at the Indianapolis Motor Speedway today then travel to the Iowa Speedway where it will compete in the IZOD IndyCar(R) Series June 20th race on Father's Day weekend. 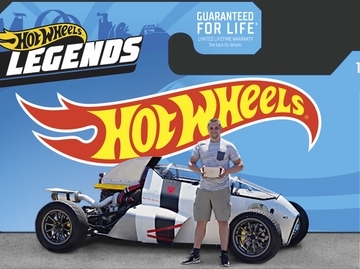 "For more than four decades, Hot Wheels has been passionate about speed, power, performance and creating the most thrilling vehicle designs," said Christian Zentner, director of marketing, Hot Wheels(R). "We are excited to expand our presence on track with Dreyer & Reinbold Racing and another iconic brand, Dad's Root Beer, and design a one-of-a-kind racecar livery like only Hot Wheels can. We look forward to seeing this awesome racecar cross the finish line in June." 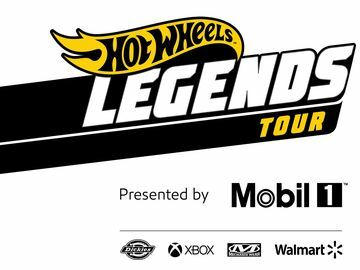 Together, Hot Wheels(R), Dad's Root Beer and Dreyer & Reinbold Racing wanted to create something special for fans for Father's Day race weekend. Originally conceived as a 1:64 scale model in the Hot Wheels(R) 2010 IZOD IndyCar(R) Series product line, the Hot Wheels(R) designers brought Dad's Root Beer IRL racecar to life. A true "Hot Wheels(R)" racecar, the vehicle features an entirely new custom paint scheme themed around Dad's Root Beer and the iconic Hot Wheels(R) flames. In addition to viewing the life-size racecar on track, fans will be able to purchase a 1:64 scale version of this exclusive car trackside at Indianapolis and upcoming IZOD IndyCar(R) series races. For more information about Hot Wheels(R), Dad's Root Beer or Dreyer & Reinbold Racing, visit www.HotWheels.com, www.dadsrootbeer.com and www.dreyerreinboldracing.com. Hot Wheels(R) can be found online at Facebook, www.facebook.com/hotwheels and Twitter, www.twitter.com/hotwheelsonline. Dreyer & Reinbold can be found online at Facebook, www.facebook.com/DreyerReinboldRacing and Twitter, www,twitter.com/DRRIndyCar. Dad's Root Beer can be found online at Facebook, www.facebook.com/DadsRootBeer and www.twitter.com/ilovedads. Hot Wheels(R) cars revolutionized boys' toys in 1968 with an original line of super-fast, customized cars built for speed, power, performance and attitude. Now, more than 40 years later, Hot Wheels(R) is a global lifestyle brand that represents the coolest cars imaginable in scales from miniature to full-size. Hot Wheels(R) cars are also popular collectibles for adults and each year, introduces a new line-up of innovative vehicles, track sets and playsets. Dreyer & Reinbold Racing is entering its 11th season of full-time competition in 2010, making it one of the longest-tenured teams in Indy Racing League competition. Current co-owners, Dennis Reinbold and Robbie Buhl, first teamed in full-time competition at the Walt Disney World Speedway in January of 2000. With Buhl behind the wheel, the two owners tasted victory in their debut race. The 2009 IZOD IndyCar Series season-opener on the streets of St.Petersburg marked Dreyer & Reinbold Racing's 200th series start. DRR now has over 240 starts to tuck under its belt and has qualified a total of 23 cars for the Indianapolis 500. In its history, the team has boasted a championship list of alumni drivers. Besides Buhl, the team has run Indianapolis 500 winners, Al Unser, Jr., Buddy Lazier, and Buddy Rice, along with IZOD IndyCar Series race winner Ryan Briscoe. The team has one of the longest lines of heritage in American open-wheel racing and the Indianapolis 500 as Dennis Reinbold's grandfather, "Pop" Dreyer, built leading roadsters that raced at the Indianapolis Motor Speedway during the 30s, 40s, and 50s. Dad's Root Beer is one of the oldest and most popular soft drinks in America. Founded in Chicago in 1937, Dad's celebrated its 70th Anniversary in 2007. In the same year, Dad's was purchased along with the Sun Crest, Dr. Wells, and Bubble Up brands by Hedinger Brands, LLC and licensed to The Dad's Root Beer Company, LLC. The company headquarters is now located in Jasper, Indiana. With a new dedication to expanding the distribution network across the country, the brand looks forward to continued growth and customer support. More information on the IZOD IndyCar Series can be found at www.indycar.com.